My name is Lee Sullivan, and I’ve been a freelance illustrator since 1983. For school I trained at college as a wildlife and technical illustrator; spent five years as a graphic artist for British Aerospace in Stevenage, Hertfordshire, England; then spent a further five years or so working for the advertising industry on a freelance basis. During that last period I met John Higgins in my local art shop, who was looking for someone to help him with lettering on a strip he was producing for a music magazine. John was very kind and took me to see some magazine editors and eventually into marvel UK. I remember John was taking in a colour painting of snowbound Transformers for an annual. I showed my work to Ian Rimmer who was editing Transformers at that point; he commissioned me to produce my first Transformers cover. What was the first Transformer you ever drew, and what is your favourite Transformer to draw? Simon Furman took over the editing of the title shortly thereafter; I continued to provide colour covers for Transformers and Thundercats. Eventually I asked to draw a strip for Transformers, which became the story ‘Altered Image’. This featured in the 1988 annual. What Transformers art, or strip, are you most proud of and why? There was a cover – 118 I believe – with Galvatron kneeling, pointing his particle cannon out at us. The strip art I was most pleased with was the last page of the penultimate episode of ‘Space Pirates’, where Metroplex awakens. Somebody else liked this too as it vanished from the Marvel offices, a shame as it was one of the few pieces I would have put on my wall at home. What kind of things were you into as a child, and did you read comics? Pretty much the same things as now – Doctor Who, Star Trek, Thunderbirds and most Gerry Anderson-related stuff, including the comics which featured all of the previously mentioned: TV comic; Countdown; TV 21 etc. plus The Eagle comic featuring Dan Dare. I also used to read UK reprints of US Marvel and DC Comics. How do you rate the new Transformers ‘Beast Wars, Generation 2 and Car Robots’ compared to the originals? I am not familiar with the last two, I saw a little of the ‘Beast Wars’ series, and I believe I drew some of the newer characters for the Botcon 2000 booklet. I never really saw the original Transformers TV series, I did see The Movie which was good fun. It’s all a little after my time, I’m afraid, but I am sure that I would have been into it had I been younger. Of course, in that case I would never have drawn for the comic! 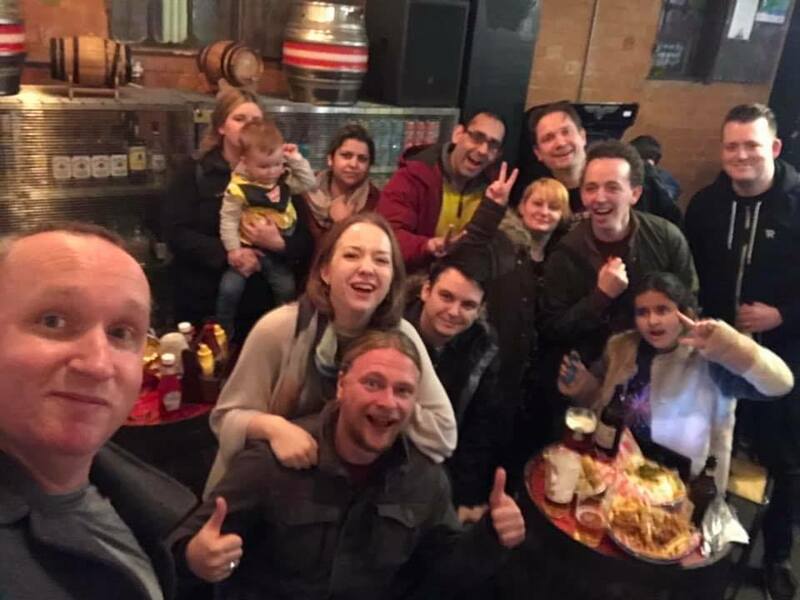 A lot of us used to meet up at a pub in London every month or so, which was a nice thing for freelancers to do – to feel that you were part of the process, not just on your own. 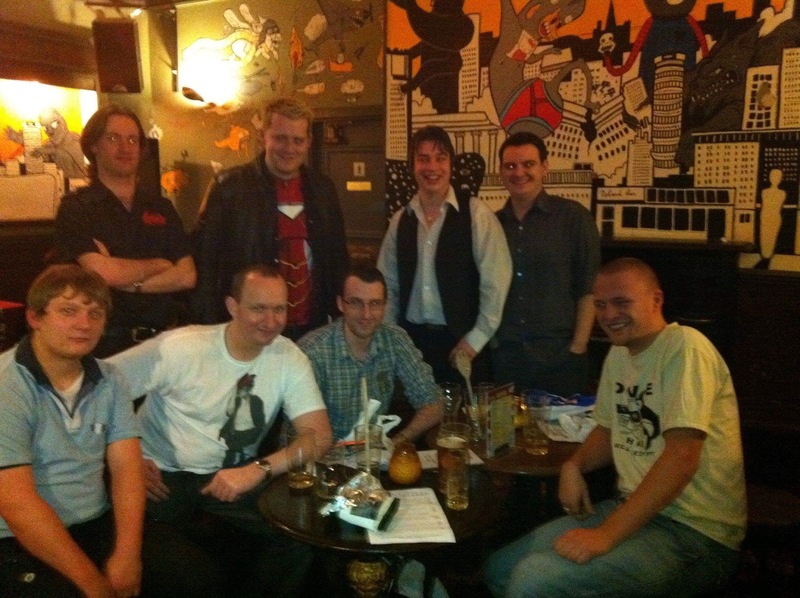 My Doctor Who career started in the pub, for instance. I think we all got on very well, which is slightly strange, really, as in the fact we were all competitors. But there was so much work available in those days and the big leap was to work for the US, which again many of us did. And, I freely admit, we were all very, very drunk. We have met up at various conventions and we keep loosely in touch – although this past year alone I’ve managed to miss both Simon’s wedding and birthday bash, which takes some doing, but I’ll see him soon, no doubt. Easier to read, but more confusing! the age range was slightly younger, but I can certainly say that when Simon was writing scripts he was writing them with an older market in mind. Although comics are fun things, part of the fun is in stretching the audience – not talking down to them, so basically we threw everything we had into the strips. Simon did an incredible job of tying together the various US comicbook and TV series storylines, plus of course, the movie’s future timeline. Dovetailing all of that with the British storylines was enough to drive anyone mad – but Simon survived unscathed and I’m sure that the appeal of Transformers the comic so long after the event is mostly due to his skills. He then went on to produce scripts for the US comic. An interesting aspect of drawing robots, as opposed to people, is that we were able to show things like eyeballs being sucked out of sockets (see ‘Time Wars’) to an age range that wouldn’t normally get to see that sort of thing. In a story that I drew for 2000AD, I was able to dice someone up with a laser beam – I can’t imagine that happening in Thunderbirds, for example! As I said, Transformers was the first comic I drew and I had a very steep learning curve – so the methods I used then were transferred from my ordinary illustration techniques. I developed a system of drawing each panel as a separate thumbnail, which helped me visualise how they might be combined as a page worth of drawings – and decide how big one should be against another. From a thumbnail of the page layout I then produced a full-sized pencil version which I then traced onto CS10 paper (used for technical illustration) using blue pencil, which doesn’t register at the line photography stage. I then inked over the blue pencils to produce the final image. At each significant stage the editor would get to see the drawings, and edit them! I think we used to have something like three weeks to produce one episode; as the comic was weekly that is why there was a rotation of artists, notwithstanding the US reprint. Strip illustration demands that you vary angles and distance of shot in the same way as a movie, with the added restriction that the characters usually have to be placed left to right and top to bottom in the order in which they speak, which was the hardest thing for me to learn, but when I got into my stride it used to take about a day and a half per page. By ‘Time Wars’ I was using a brush instead of a dip pen, which speeded the process up to about a page a day. I’m back to using a pen, and my speed hasn’t really increased, but I’m a lot more careful about the quality of the drawing these days. Or so I like to think. 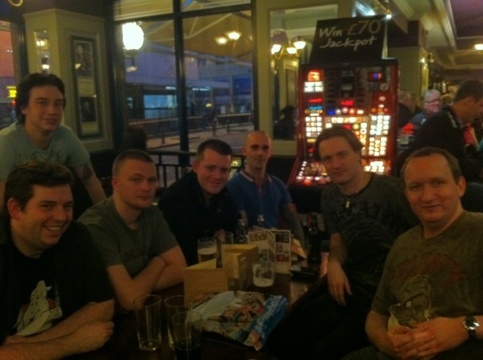 The usual stuff – cinema going, meals with friends, sleeping. I also own three saxophones, which I entertain my neighbours with by playing rather badly, but enthusiastically. A: Ones that I am paid for! Not quite as cynical as it sounds – I regard myself as a commercial illustrator rather than as a comic book artist. drawing comics is a part of what I do professionally, and for a while was the main thing, but now my work has returned to a broader base. On the cover of Transformers #205, the final part of Time Wars (drawn by Andy Wildman), there is a toaster placed among the dead Autobots. Do you make any subtle ‘in jokes’ in your work such as this? I drew. It was called ‘The Merchandisors – Battle for the Pocket Money’ and the three characters I designed for that strip feature somewhere in the crowd of a Transformers strip . . . it’s up to you guys to work all this stuff out! 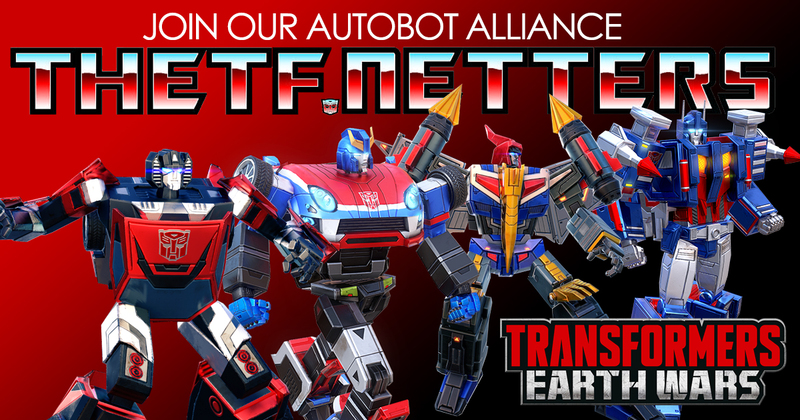 What do you think of the online Transformers community keeping the Transformers alive, and the fact that much of your work is available to see on many web sites (including this one)? the ability to manipulate old material as well as to generate new works has been a literal revolution. You all know from this very web site how much easier it is for a community to come into being and operate effectively. As for my work being available, part of me thinks ‘hey! I’m not being paid’, but really I see the usage as a nice compliment – and sometimes publishers are quite good at reprinting stories without paying anyway . . .
As of now, April 2001, I’m producing a regular strip for Thunderbirds comic – again, revisiting my past – and every month providing a preview illustration for the Big Finish Doctor Who audio adventures in Doctor Who Magazine, as well as (this month) a one-off full-colour comic strip for the latter. Outside of comics I do a fair amount of work for children’s educational publishing, so I’m always hitting the next generation! Any kind of publication that is based on a licensed product can only exist if there is a sufficient demand for the product itself. Transformers, I believe, are current again, and the fact that a cult following exists means that is more attractive for someone to take out a licence now than it was, say, five years ago. Also there is a back catalogue of comic book material which could be reprinted, making it cheaper than starting from scratch. However, I’m told that it is very unlikely that the ‘ film’ of the British comic survive; unless someone takes the trouble to scan all the old comics and re-colour using today’s technology, I doubt that we will see my old stuff back on the shelves. Curses! It is possible that the US Marvel material survives as they have extensive storage facilities. Cost is the main factor determining whether any publication exists or not – if there is high demand for the Transformers product itself , then I would say that a publication would not be far behind; the higher the demand – the more likely new material would be produced. I would have no problem with the idea of drawing Transformers again; work I produced for Transforce and Botcon last year was quite enjoyable. There is an overwhelming temptation to say ‘don’t’! You have to be lucky as well as able to do the work, and there are always far more people wanting to be comics artists then there are places to fill. I would certainly advise that any illustrator should have many strings to their bow. Today, no career path you choose is certain, so it pays to keep your options open and to stay flexible. Keep abreast of the new developments – although I still physically draw my pages and colour using my real airbrush, inks and watercolours, I tweak and add to the artwork in Photoshop before sending it by e-mail. No doubt more changes will happen, it’s a case of ‘adapt or die’ – easy when you start out, less so the longer you survive! In a nutshell – good luck and keep on, er, Transforming!